Common Councilman Matt Miklave (D-District A) has formed an exploratory committee to run for mayor. NORWALK, Conn. – Taking a cue from Norwalkers who are pleading for candidates to talk about something of substance, one mayoral hopeful has put forth something to consider: performance based budgeting. Common Councilman Matt Miklave (D-District A), who has formed an exploratory committee in the mayor’s race, is calling for a top-to-bottom review of all city programs. The would-be Democratic Party mayoral candidate is arguing for a thorough review of all city programs consistent with a process known as performance-based budgeting. “By establishing performance criteria for every program, and conducting a regular, rigorous review of performance, the city can answer a fairly simple but important question – are these programs working?” Miklave said in the press release. Performance-based budgeting, also known as PBB, “aims to improve the efficiency and effectiveness of public expenditure by linking the funding of public sector organizations to the results they deliver, making systematic use of performance information,” the Public Financial Management Blog (PFM Blog), said. The blog is managed by the two public financial management divisions of the IMF (International Money Fund) fiscal affairs department. Miklave believes Connecticut cities must face a new fiscal reality, according to the release. Funding from the state to support local programs is limited and families and local businesses are taxed to the hilt. “Cities and municipalities must face the same realities as families and small businesses – a cost-benefit analysis is needed from time-to-time to make sure we’re spending our money wisely,” Miklave said. 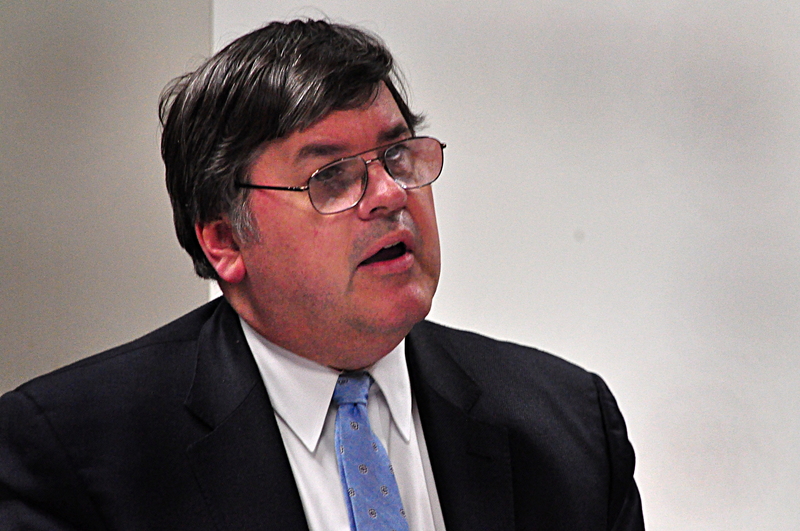 Miklave has long been an advocate of Performance-Based Budgeting, the release stated. “A shift in our thinking will allow us to use resources wisely and to begin making the kinds of tough decisions that will create jobs, improve education and protect the unique character of Norwalk,” he said. “I’m not suggesting we permanently slash needed programs. But if a program is under-performing, it just makes sense to suspend the program, figure out how to make it work and ask if the cost of making the program viable is worth it. Otherwise, we’re just throwing tax-dollars down a money-pit and abdicating our responsibility to Norwalk families, local businesses and taxpayers,” Miklave said in the release. This is a really interesting proposal, however I question whether Miklave really believes in it since when it came time to winnow CDBG applications, he’s the first to move all applicants forward instead of doing the hard work of scoring and moving forward only the applicants that met the minimum viable score forward. This is not to single out Miklave on the CDBG process, however, all of the planning committee Common Council members have done and supported the exact same thing. So it’s more of a question of how would you implement a performance based review when the precedence of Common Council members who hold the fiduciary responsibility of the City, have neither the time, skills or background (think packets) to do that job? The lead paragraph of this story had me excited at the possibility that Mr. Miklave would be sharing something of substance. Unfortunately he didn’t. Mr. Miklave’s press release boils down to a long-winded, jargon-laden statement that government should cut programs that don’t work, and keep programs that do. Of course the devil is in the details and people will disagree over which programs work and which ones don’t. Mr. Miklave is already on the Common Council, and evaluating which programs work and which ones don’t is already part of his responsibility. So I challenge him to do his job – perform the review he’s talking about and tell us exactly which programs need fixing and which programs need eliminating. If he won’t, then he’s abdicating his responsibility as a Councilman and not being honest with us as a Mayoral candidate. If Mr. Miklave truly wants to be Mayor, he should show us his ability to “use resources wisely” and “make tough decisions”. Otherwise we would be correct in concluding that this press release is just a lot of happy talk, completely devoid of substance. I believe the language used by Mr. Miklave created a rather simplistic picture of PBB. In most cases, it is not a question of which “programs” work or do not work, but what can be done to improve the performance of “departments.” This type of budgeting requires tedious and extensive review of how departments actually function; thus, in many municipalities the PBB is implemented on a rotating, or rolling basis. For instance, Parks and Recs. might be reviewed every five years, the same for DPW, and so on. There are other, more difficult questions to address in areas of the country where municipal workers are unionized; it might take years of negotiations and compromise to improve the performance of different departments. Thank you for providing a better explanation of PBB. Do you happen to know what sort of savings have been realized by communities that implemented PBB? What’s your own opinion of PBB? Is just part of the old boys club on the other side of the isle. We need new blood not the same old same old. Exactly what were his accomplishments on the Common Council ..Oh that’s right NONE. @Spoon, good question, how have other communities with similar demographics fared. Good idea from Mr. Miklave, if he means it, let’s check all city departments to see how efficient they are. Can we start the process next week? At the very least the transparency will be a welcome change. @Bruce Kimmel a tedious and extensive review of department performance is what is needed, yet why wait for the inevitable political posturing? Open the data. The Council could in fact turn every department database, such as the customer service calls, as something the public could work with. Of course some departments function without databases or data. That is the more troubling aspect of how Norwalk government operates. I agree Jackie, open the data now, all city departments completed before the election, by June would be good. In order to implement Performance Based Budgeting, there would be a need to have previously established Performance Criteria. If you are running a DMV, that is easy enough, number of applications processed, etc. At the municipal level this doesn’t make much sense. How are you to measure the fire and police departments? This is unfortunately more of the same. No real effort, just a sound bite that sound like something. Ms Romano has done us a great favor in presenting Sunnydale’s tested version of municipal PBB. By their programs ye shall know them; instead of waiting for a five-year review as Mr. Kimmel suggests, PBB should gather data and set priorities and standards on weekly, monthly and annual bases, as well as quinquennially. Personally, I don’t find any difficulties in establishing standards for the police and fire departments, and I trust that many of these standards of performance already exist. Mr. Miklave should be congratulated for wanting to institute such a reasonable approach, and hopefully all the candidates for Mayor, including Mr. Moccia himself, will move swiftly to endorse PPB for Norwalk in the future. Throughout the US cities like Providence, San Francisco and Syracuse as well as many smaller towns and municipalities are using data-driven programs that are improving their bottom line by utilizing Performance Based Budgeting to track expenditures and improve work performance. I don’t think anyone believes that this is an instant “cure” for budget woes – nor has it been held out as such; however, we do need to bring Norwalk’s governance into the 21st century. Performance based-measurement programs may spend many months fine-tuning the process. All new systems take adjustment. Typewriters to computers, horses and carriages to automobiles – transition is always difficult. But now that we know a better way would we want to go back to typewriters and riding around on horses? To cling to old methods and opine that “it can’t be done” certainly ensures that Norwalk will continue to be a failing city. We need to raise the bar and set new standards for how our tax money is spent. Performance Based Budgeting is succeeding in many other towns. Are we so set in our ways that we dismiss any new ideas that might upset the Status Quo? By some of the comments above it would seem so! Bring on the new ideas – let’s get Norwalk moving together! Not a new concept but great issue for Matt to raise for campaign. On Morning Joe today there was a panel of mayors from cities large and small discussing this issue. Mayor Bloomberg apparently has a program in place already. Very interesting discussion and I hope it goes somewhere.